Basically, your lifestyle helps you choose the best hardwood flooring option for your house. While you will not be bowling on your floors, you might live in a house with lots of foot traffic or pets running around. For this reason, you’re going to expose your floor to scratches and this will require a harder floor as well as finish. However, if your lifestyle is more solitude, you can go with natural oil finish and softer wood. If you need people to take shoes off at the doors, take some precautions when moving furniture, your house is not prone to messes. While several homeowners consider installation of hardwood flooring to be a DIY work, it requires professional installation. Whether you install flooring on your own or hire somebody to do that for you, you should be realistic in terms of your budget. It is always a possibility that you’ll end up spending more. 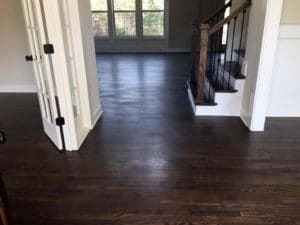 Aside from installation, labor, and all materials, you should also consider the cost of replacement and repair for your hardwood floors. Therefore, while you might have an initial budget for exotic species, think of whether you’ll need the funds to replace or repair more expensive floor in the long run. Prefinished Hardwood Flooring – It’s a convenient option for everyone. Installing this takes less time. Solid Hardwood Flooring – It’s the most customizable and natural kind of hardwood flooring. If you consider this option, you can have wood species, flooring finish, and stain you like. It’s the only kind of wood flooring that may be refinished. 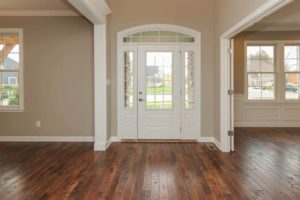 Laminate Flooring – It’s another option that most modern homeowners go with, particular in homes or rentals with small kids. Engineered Hardwood Flooring – It is semi man-made flooring. Yet, it’s made from some layers of real wood. The top layer is lamella and it’s most often prefinished. floor will dictated by your chosen finish. If you are not set on laminate or prefinished floors, you must explore at least several finish options. 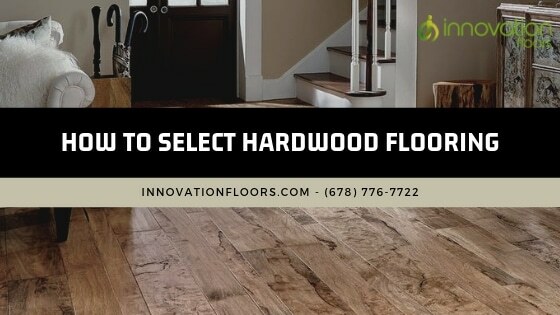 Once you have decided for the best hardwood flooring option for your needs, it is best to consult experts at http://innovationfloors.com/ for you to make your final decision and get the best value of your investment.